Welcome to the Carmarthenshire Fungus site. Just discovered Coed Pen Arthur, a mainly conifer plantation on the road from Llangadog to the Black Mountain (Grid ref SN 717 255). 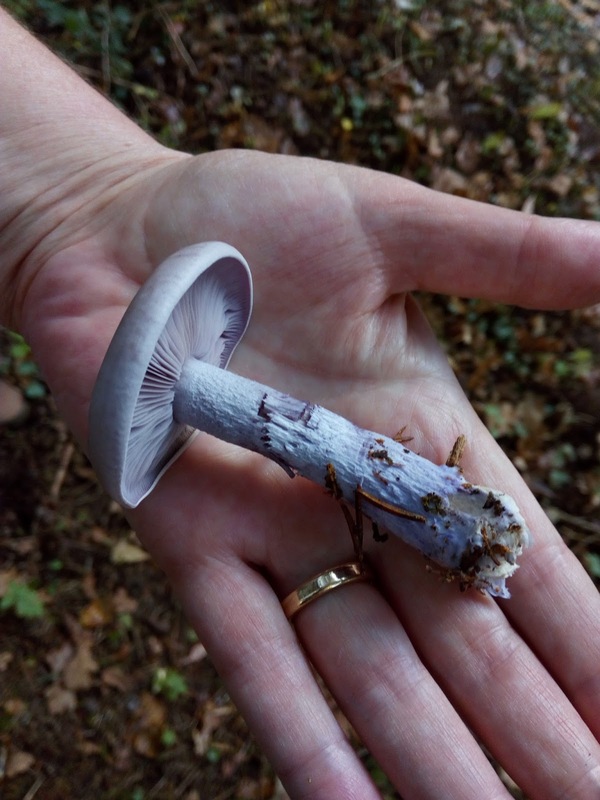 Worth keeping a mycological eye on - I found a lovely crop of beautiful Wood Blewitts Lepista nuda, the colour of parma violets. There's also a public sauna somewhere deep in the woods apparently. Is it adnexed, emarginate or sinuate? Why not add your own images?